One diagram, found on many writers’ sites, (see below), is clean and simple, based on Freytag’s Pyramid. There are many examples of narrative arc diagrams—all originating from Aristotle’s ideas in Poetics—often with only minor variations. 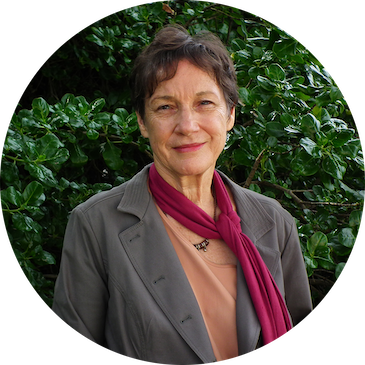 Here is an example by a well-known Australian writer, Kate Forsyth. 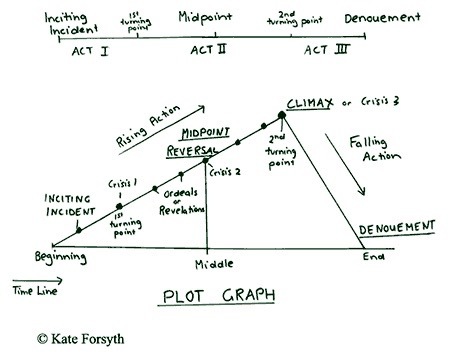 According to this diagram, there are seven main points to the structure of a short story or a novel: the Begining; the Inciting Incident, followed by a crisis; the Midpoint/Reversal ( 2nd Crisis); the Climax (Crisis 3) ; the Falling Action; the Resolution; the End. 1. 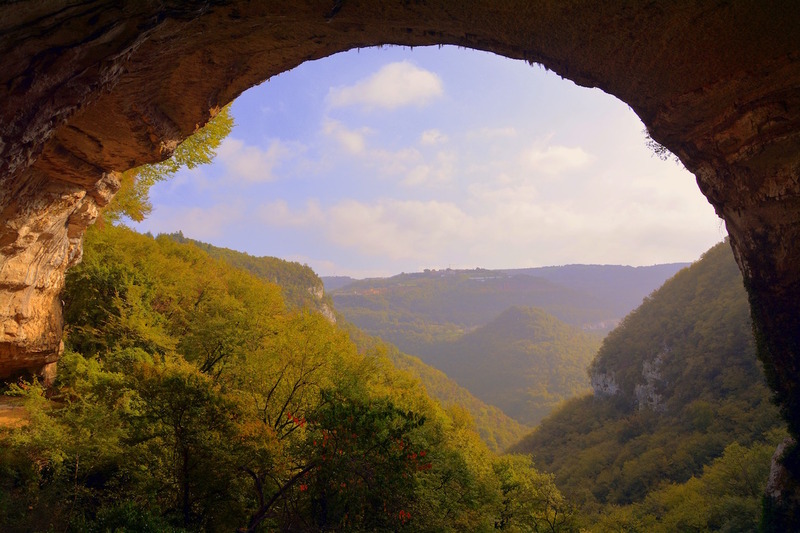 A short story, or a novel, starts with exposition: scene setting, characters and “usual life” of the protagonist. 2. The inciting incident is the catalyst: the crystal that starts the snowball rolling upwards and onwards towards the climax, then downwards towards the resolution and the conclusion. It does not have to be in the first paragraph, but must set the ball rolling (rising action) towards the midpoint and the climax. Tension and conflict are represented by the upward movement. 3. An obstacle, or several obstacles are placed on the hero’s pathway, becoming evident soon after the inciting incident, and still being worked out around the midpoint of the story. 4. The midpoint is often where a shift takes place; this can be a shift in time, place or spiritual awareness on the part of the protagonist. 5. 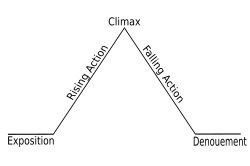 The Climax (2nd Turning Point or Crisis 3) occurs after the midpoint towards the end of the novel or short story. 6. A falling action begins after that point. This is represented by the downward movement heading towards the resolution, the denouement. The inciting incident and the conclusion of the story are intimately related. The introduction sets up a promise that is fulfilled in the conclusion. 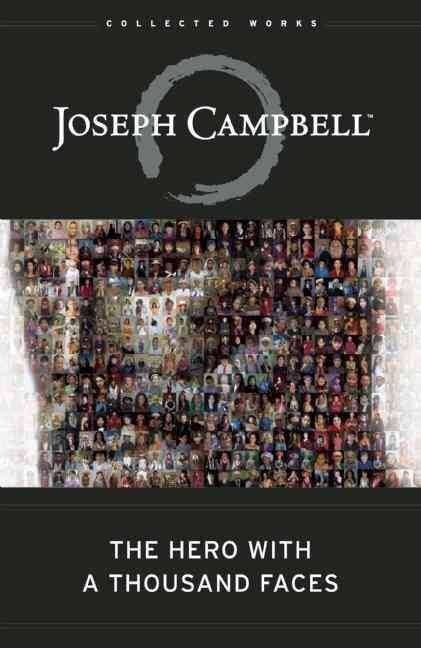 This brings to mind Joseph Campbell’s idea, represented in The Hero with a Thousand Faces, of there being a great number of stories subsumed within one basic mythical parameter of “The Hero’s Journey”. Perhaps all well-written stories follow certain structural parameters as well. are all ideas on dramatic structure inspired by Aristotle's Poetics?how can you show diagramatically the narrative arc?the inciting incident as the catalystwhat is Freytag's Pyramid?what often happens at the midpoint in a story?when does the resolution begin? Anne, your latest post on the narrative arc has worked a treat for me. After reading it, I suddenly developed a practical thought about how I might end my own novel. YAY! It’s a pleasure. I write stuff usually when the issue comes up for me in my writing, or for my friends who are writing novels too. At the moment I’m thinking about “omniscient” versus “close” point of view, and trying to get my head around it. Will keep in touch. Thanks for your very clear explanation Anne. Like you I like to write ‘from the heart’ especially in the first draft. Having this template will help to apply structure when reshaping the novel. Do you plan the heroine’s journey in the first draft or later?